It is a little known fact that if you want to maintain pearly white teeth, you need to keep your teeth enamel healthy and strong. Remineralizing teeth is one of the best ways to keep your teeth healthy and strong and understanding the composition of teeth will help you know the importance of remineralized teeth. The enamel is mainly composed of calcium phosphate salt and small amounts of sodium, magnesium and chloride. As teeth become old, they can become damaged by bacteria and may often undergo the process of demineralisation. When teeth are demineralised, it can lead to cavities and other serious dental problems. This is why it’s better to get on top of the issue early to avoid long term expensive visits to the dentist. Are you thinking of the safest ways on how to remineralise your teeth? If so, the following methods can be very helpful. Maintaining good oral hygiene is one of the best ways to keep teeth healthy and strong. One of the habits to develop is brushing teeth at least twice a day. It is better to use softer bristles rather than hard bristles in order to avoid damaging teeth and gums. If you want, you can have the toothpaste sit on your teeth for some time before rinsing it. Making an appointment with a dentist or cosmetic dental clinic is also helpful. They can examine your teeth and will give you advice on how to keep teeth healthy. If there is a need for remineralisation, your dentist will advise you on it. Remember, only a dentist can confirm if your teeth need remineralising. Toothpaste with fluoride content is best to use in order to replace the demineralized tooth enamel. A fluoride toothpaste helps strengthen tooth enamel, reduces bacteria in your mouth and reduces dental plaque. It also helps replace the calcium ions in the teeth. In the case of sensitive teeth, you can use toothpaste suitable for sensitive teeth to avoid gum inflammation. To save money you can make your own remineralizing toothpaste. Apply this wpengine coupon code to save on your web hosting plan. All you need to do is, mix 4 tablespoons of calcium carbonate powder, then add 2 tablespoons of baking soda. Also, add a ½ packet of stevia and 1 teaspoon sea salt. After mixing, you can add enough coconut oil to form a paste. For the paste to be minty you can add an amount of peppermint. You have now fluoride toothpaste. Eating healthy foods is also beneficial in keeping teeth remineralised. Among the foods to avoid are sugary foods, starches and all processed or pre-packed foods such as cookies, bread, chips, crackers, and cakes. If you can’t avoid sweet foods, it is better to consume honey. The foods that are best to remineralize teeth are fruit and vegetables. Choosing foods with high Vitamin D content and calcium will help. Drinking eight to 10 glasses of water will also help. It makes teeth produce more saliva, which kills bacteria. 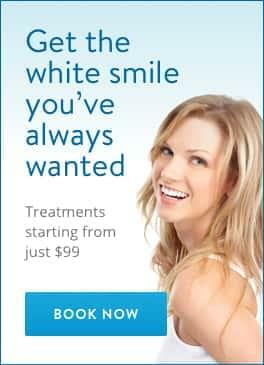 PureSmile is one of the best teeth whitening clinics that you can consult.You can check our remineralizing gel products– the enamel booster for remineralizing teeth.